Third Paradigm is an out-of-the-box thinktank on community sovereignty and regenerative economics. We look at how to take back our cities, farmland and water; our money, production and trade; our media, education and culture, our religion and even our God. We present a people's history of the Bible and a parent's view on how to raise giving kids in a taking world. Keep updated every week with summaries of new radios shows, plus original writing posted on the site. Welcome to the 68th episode of Third Paradigm. Our title this week is 12 Local Ordinances for Food Security. 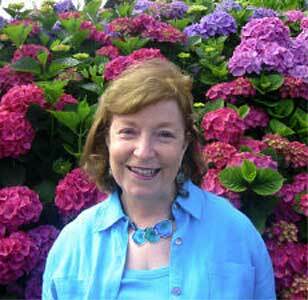 I developed these ordinances to present at our local meeting of Transition Santa Cruz. But the problems these ordinances address are both local and global. If only 2% of US citizens are in agriculture and half of them are over 60, that's 98% of us who rely on other people to produce our food. And of these mere 2% who are farmers, 38% are being subsidized by our tax dollars to export their crops. Corn alone accounted for $11.2 billion in exports last year. At the same time we've paid corn farmers anywhere from $4 to $10 billion a year from our taxes. 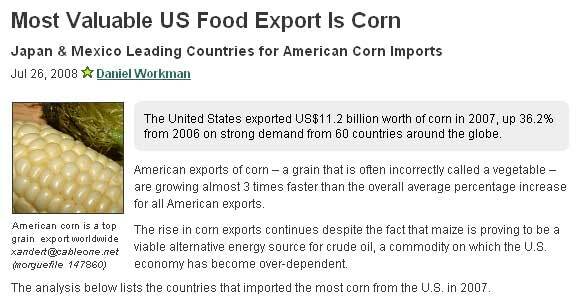 Why are we paying to export corn? It doesn't benefit us and farmers in these countries don't want subsidized GMO corn undercutting their markets either. Over the last 15 years we've handed out a total of $250 billion in subsidies. Of the 38% of farmers who are eligible for them, less than 10%, or under 4% of total farmers, collected 75% of the total, amounting to $150 billion. What does the money go to? 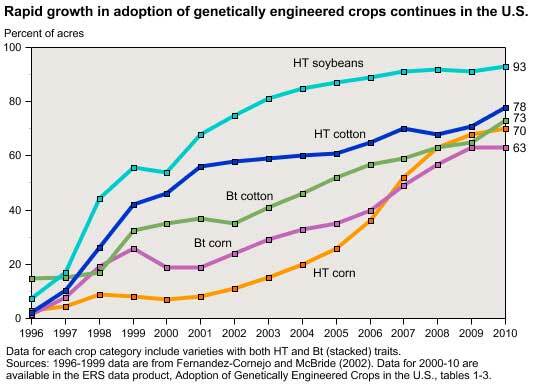 GMO corn, GMO rice, GMO cotton, GMO wheat, and GMO soy. The only vegetables we subsidize are sugar beets. Ken Dowst's recent episode of New World Notes highlighted how high fructose corn syrup has made diabetes #1 on the pop charts for poverty diseases. But sugar beets are vying for their chance to be the next American Idol. Those subsidies, however, don't include the fuel used to plant, fertilize, process, package, and ship the crops. Curiously, these same farmers complain about the subsidies given to big Oil. The Delta Farm Press Blog, which has menu categories for each of the big five subsidies plus ads by DuPont, gripes about the one billion dollars big Oil spent on lobbyists this past decade which paid off handsomely a hundred to one in subsidies. The Progressive Farmer, another agribusiness blog, spent months researching big Oil subsidies. His conclusions were that big Oil received anywhere from $130 to $280 billion a year - which is as much as big Ag got in the last 15 years. But an alert reader noticed that this is still too low. According to the Defense Council's own testimony to Congress, the military that was needed to protect oil in the Persian Gulf cost another $100 billion. So the grand sum could be as high as $380 billion a year. Unsubsidized organic farmers pay about 100 times more for labor costs than multinationals operating in foreign countries. They have to weed by hand, and don't use nitrogen-based fertilizers. Can they compete on this tilted playing field? Not on your life, which I mean literally. This brings us to our first local ordinance: for every 2% a year that a county lowers their carbon emissions, they get to keep 2% of their own Federal income taxes to subsidize local food and energy security. This first ordinance is the root of all the others because nothing is possible without regaining control of the funding. Under this system by 2020, 20% of our income taxes could educate a new crop of farmers, cultivate an agricultural commons, and build a windfarm or a solar panel factory. By 2030, 40% of our income tax could go towards things we've never even dreamed of. By 2050 this could be 80% and our carbon emissions and dependence on foreign oil and labor would be only 20% of our current rate. Between income tax and FICA we pay an average of 30% of our income to the Federal government, 11% to California, and zero locally. Under this new paradigm by 2050 26% of our income could go to our local county, 11% to California, and 4% to Federal programs. This would be enough to do the things that make sense at a national level and even out income disparities. Does the military need more than 1% of our income? I don't think so. Before we go on let's take a break and hear some poems. These are Praise Song by Barbara Crooker, Groundhog Day by Lynn Ungar, and Millennium Blessing by Stephen Levine. The music is Remaining Light by God is an Astronaut. with the power to predict spring. over sun and seasons in his stubby paw? Who says that God is all grandeur and glory? 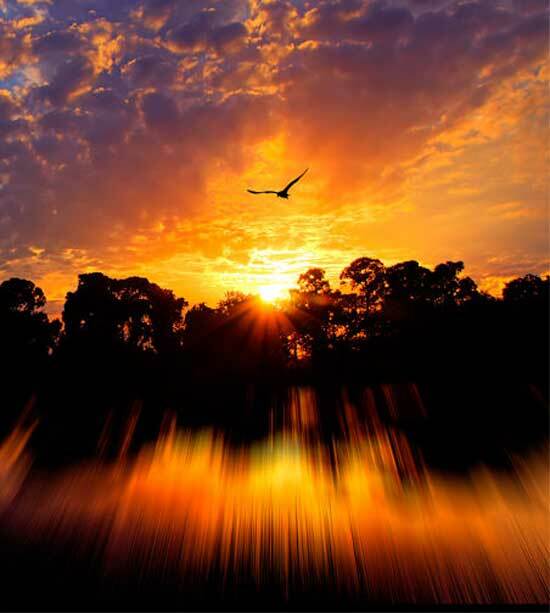 are busily, brainlessly, tilling the soil. seeds that will take root and grow. have been holding up green shoots beneath the snow. 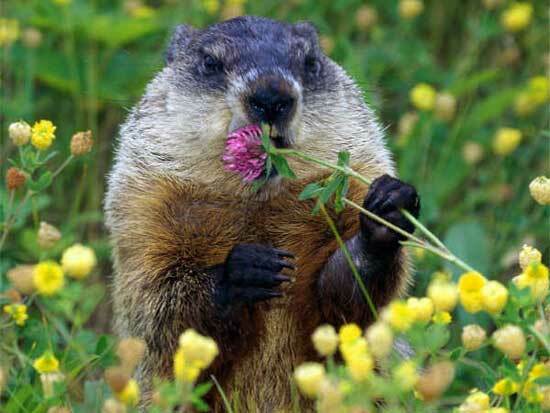 How do you think spring arrives? in bringing it to birth? Nothing simpler. And that is what we sing about. 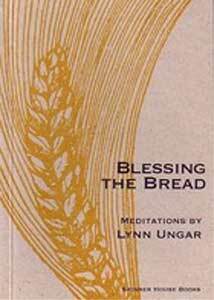 That was Praise Song by Barbara Crooker, Groundhog Day by Lynn Ungar, and Millennium Blessing by Stephen Levine. The music was Remaining Light by God is an Astronaut. This is Third Paradigm and we're talking about 12 Local Ordinances for Food Security. Hopefully these would help us enter this new phase that coming, ready or not, and see it as a grace rather than a curse. Now on to our second ordinance. This one states that smallholder farms and agribusiness farms are different animals, and the same rules shouldn't be applied to both. My daughter and I have been helping a young couple who have a chicken ranch called Early Bird. They trained with Joel Salatin at Polyface Farms, the farmer in The Omnivore's Dilemma and Food Inc. who is given as an example of how to do it right. Salatin's recent book is called Everything That I Want to Do is Illegal. He talks about kids complaining that they're bored and how many things they could do to be not bored - weeding, digging postholes, splitting wood, washing eggs. He'd gladly give some neighborhood teens pocket money to do a few chores. But to do this he would have to fill out a mountain of paperwork, put them on payroll, and withhold taxes. And then he can't let them handle anything more dangerous than a screwdriver. A local farmer wrote in the Half Moon Bay Patch that he had hired an agreeable day laborer to help with the pumpkin harvest. It was a seasonal one-day job, but that turned out to be the day the labor commissioner showed up. He was charged $1000 for having an employee not covered by worker's comp. If it had been the day that his wife, her parents, and a couple of friends had helped out for a beer and a barbeque, that would have cost him $5000. There are no waivers they can sign to take responsibility for their own health and safety. So when my daughter and I help out at the chicken ranch, our joke is that if anyone comes we're trespassers - particularly helpful trespassers. You'd think, if you didn't know better, that the Labor Department cares how farm workers are treated. But all those jails aren't being built to hold agribusiness execs or farm managers. They're also not built to hold the politicians who pass trade deals with countries like Peru where 70% of agricultural workers are considered temporary in order to get around any labor laws. And so the third local ordinance I'd pass would be to charge a 1% climate tariff for every 300 miles a product is imported. So potatoes shipped 3000 miles from Idaho would be taxed at 10% while 20% would be added to the price of asparagus from Peru. There's a word for this, which our government would like us to believe is a dirty word. It's called "protectionism." It would protect our local market, helping local products compete with overseas labor and subsidized monocultures. It would also force our Climate Action Plan to be honest and not outsource our carbon emissions. With the proceeds we could fund co-op facilities like a grain mill, a mobile slaughterhouse, an olive or wine press, or a portable milking barn. Maybe we could get the State to give back our State park, Wilder Ranch, which we could turn back into a dairy farm. My fourth ordinance is to establish sustainable student swaps. As the mother of three teenage daughters I've realized that the primary lure of college is neither getting an education nor avoiding a job, although these are both attractive. 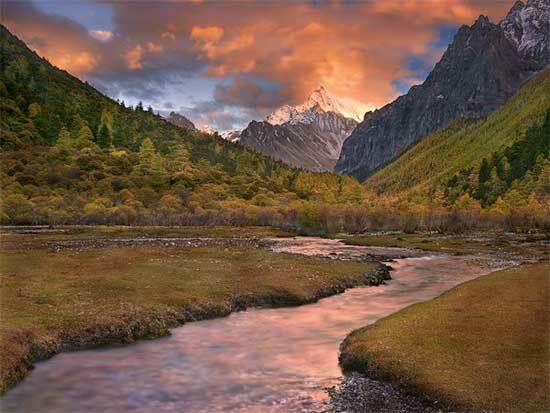 The greatest seduction, however, is leaving home - the opportunity to travel, to live in a different place and explore. But out-of-state tuition has made the cost of an adventurous degree prohibitive. So I think that we should establish a curriculum that gives students what they want if they give us what we want. Before leaving home, but after leaving high school, students would train in practical skills like carpentry, plumbing, gardening, appliance repair, painting, cleaning, and sewing curtains. Being certifiably sustainable would require them to demonstrate their skills on their own home, making it as beautiful, functional, and self-reliant as possible. For every hour they worked on their homes their parents would earmark some of the funds they'd set aside for college and maybe a little spending money for now. Other college towns in other states would share the same curriculum. When our students were certified as an asset to their own families and communities, then they'd be eligible to go somewhere else and get in-state tuition. At the same time their qualified students could come here and attend Cabrillo Community College or UCSC. They could live in rental houses in town that are designated for this purpose. As part of their charter they would help neighbors put in food gardens, build chicken coops, harvest fruit trees, install beehives, and make themselves generally useful. Rather than being transients, these students would be a valued and sought-after addition to the neighborhood. And our next generation would be such a treasure that other towns would bribe them to come live there for a few years. Before we go on to number five, let's break for a song. This is Weather and Water by Jedd Hughes. That was Weather and Water by Jedd Hughes about people striving, and failing, to make an honest living off the land. Then, as now, it's possible to make a decent living or make an honest living, but it doesn't seem possible to do both at the same time. This is Third Paradigm and we're talking about 12 Local Ordinances for Food Security. Now for number five: establish property tax breaks for landowners who share. Up until now, agricultural land has been given a property tax break by the counties, and the state helps them make up the lost revenue. But a recent article in the San Jose Mercury News revealed that Governor Jerry Brown is looking at cutting this assistance. With local governments already hurting, farms may have to pay more. This is another reason that Ordinance One is so important - we need to reclaim our income taxes. If we had this source of revenue we wouldn't be so dependent on property tax, which is the greatest threat to food security there is. If you have less income, you pay less income tax, but property tax keeps going up even when your income keeps going down. But the property tax break we're suggesting would go further than that. Anyone who's making their land available for others to farm for free or for trade would be eligible for a discount. When TLC Ranch gave up on finding secure land for their pigs and laying hens, they blamed it on the horse ranchettes. The minimum parcel size for ag land is five acres which people bought for the view from their saddles. So the price for 40 acres, enough so your animals don't overgraze the land, was exorbitant. Now that the ranchettes can't afford their horses maybe they could graze some pigs through FarmLink, a program that hooks up landless farmers with unfarmed land owners. On a smaller scale we're launching something called Urban Garden Share, which connects landless gardeners with neighborhood yards. In both cases a small incentive would go a long way to pulling down those fences that we think make for good neighbors. Number Six: Offer tools not rules. At little cost the city could use their lawyers to draft one-page legal contracts that would be honored in the small claims court. Their purpose would be to protect investments that will never make a profit. 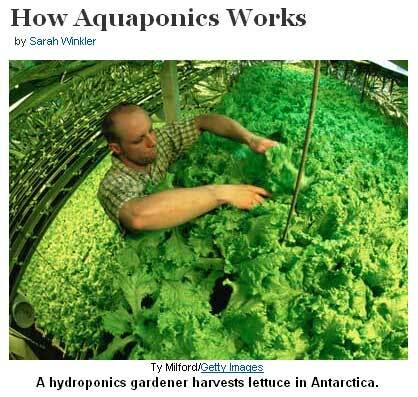 Let's say that I want to invest $5000 into aquaponics - a sustainable food system in which fish and vegetables are grown in a mutually beneficial balance. Let's say the whole aquarium/greenhouse costs $50,000 and 10 families are going in on it but one family is doing the work. In return for my $5000, I'm entitled to $6000 of fish and vegetables at the same price, no matter what inflation goes up to. I can get $10-worth a week for the next 12 years. Or I can save it up until the food crisis hits and sell at a profit. If the producer has a raccoon attack that wipes out her stock, at least she doesn't have debts to repay while she's replenishing. But if it's not being taken care of, the cooperative still owns the tank and can move it to a new location. Where can I sell my hydroponic tomatoes and fat little fishes? This brings us to Ordinance #7: Authorize Backyard Farmer and Kitchen Baker Markets. Within the neighborhood a street could be blocked off one afternoon a week. Tables and chairs could be set up as a place to hang out and talk. Not only would it be a venue for homegrown eggs, honey, and cupcakes, but those who live out of town with pigs or meat chickens could distribute their wares. A necessary condition for this would be Ordinance #8: Allow people to waive their right to sue. It's not worth it to sell a fifty-cent egg if it could leave you vulnerable to losing your house. Come on, people. We need to take responsibility for our own health and safety. Buy from people you know and use all your senses including the common one. Ordinance #9: Allow free trade between neighbors. It makes sense that we should pay tax on corporate income but what business is it of theirs if we trade what we've made in our precious leisure time? Every time that money changes hands, half of it leaks out of the community in taxes, and the only way it comes back is through government and corporate jobs. We have to stop tax leakage if we're going to break our servitude to the industrial-military-banking complex. Ordinance #10: Overrule neighborhood associations and nuisance laws that restrict food production. In Santa Cruz the number of animals allowed per house is five. 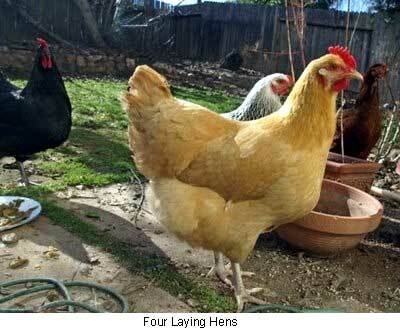 Five hens lay an average of three eggs a day. Imagine if this was your only protein source for your family - how would you survive? One of our concerns is to prepare for the possibility that in an earthquake we could be cut off from food shipments up to a month. We can't afford a snooty cul-de-sac society telling us we can't have food gardens in the front yard. Ordinance #11: Make Santa Cruz a sanctuary city for immigrant labor. One thing my forays have taught me is that food is very labor-intensive, requires a lot of skill, and takes tremendous patience. Our illegal immigrants are our greatest treasure if eating is a habit we'd like to keep. And finally, Ordinance #12: Join a network of other towns reclaiming their right to food. 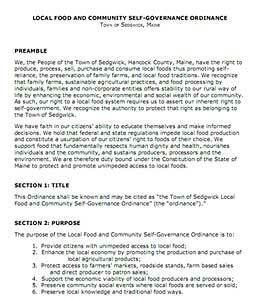 In Sedgwick, Maine, they've just passed a Local Food and Community Self-Governance Ordinance. It reads, "We, the People of...Sedgwick...have the right to produce, process, sell, purchase, and consume local foods... We have faith in our citizens' ability to educate themselves and make informed decisions. We hold that federal and state regulations impede local food production and [usurp] our citizens' right to foods of their choice." It exempts local producers from licensing and inspection if they're selling directly to the customer at a farmer's market or roadside stand, at a community event, or delivered to their home. They made it unlawful for any government or corporation to interfere with this right, and they protect the patron's right to enter into private agreements to waive any liability. And then it gets really interesting. They say that any attempt to use other levels government to preempt it will require them to explore other measures that expand local control and protect their inalienable right to self-government, including the partial or complete separation of the town from the other units and levels of government. Are we talking secession here? Finally! For Third Paradigm this has been Tereza Coraggio. Thanks to Mike Scirocco for being my djinni in a web bottle - I make a wish and he makes it so. Besides all these beautiful 3P episodes, my Food in the Hood menus, five blogs for the UniverseCity, and a frame for my poems and writings, we've just started a new website. At retrometro.com we're mapping all the neighborhoods in Santa Cruz. More news to come on that. Thank you also to Kevin Spitzer who invited me to co-host three of his talk shows. 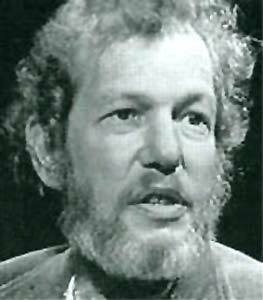 I'll soon be posting our interview with Michael Olson, author of MetroFarm and host of Food Chain Radio. The conversation was so lively and important, and made so much progress on thorny issues, that we're bringing him back in two weeks after our interview with Ellen Brown. We go out with another KPIG classic. This is "We Can't Make It Here" by James McMurtry. But Sedgwick is saying we CAN and we WILL. Audio downloads are free for any noncommercial station with attribution. Transcripts are free to republish except where other copyrights apply.